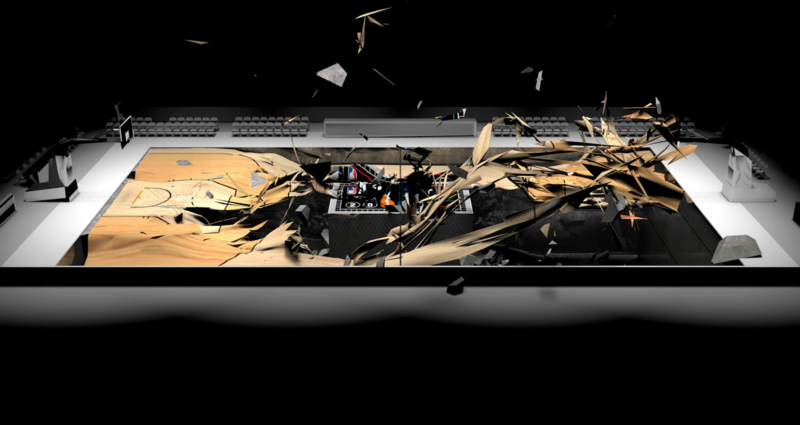 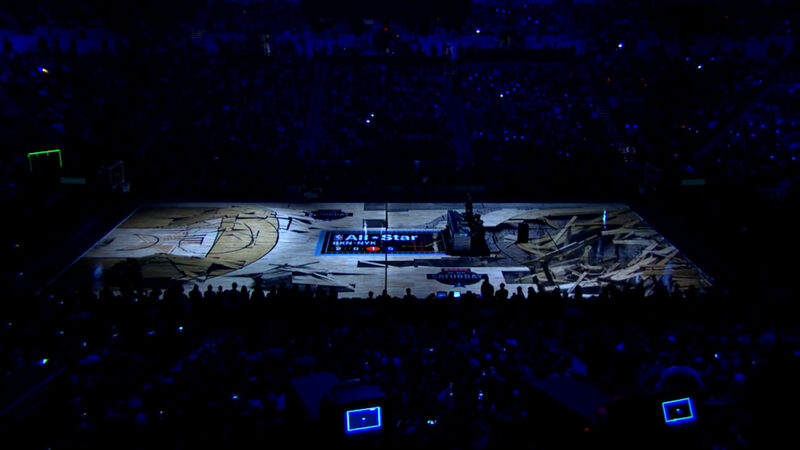 An entertainment of ripple light effects and immersive motion graphics throughout the game. 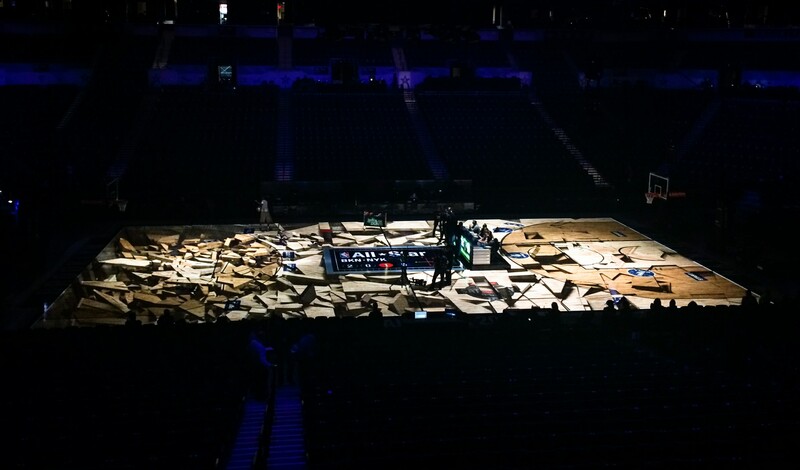 NBA All-Star Weekend in Brooklyn stepped up the entertainment factor in 2015 and invited Moment Factory to produce immersive motion graphics for “State Farm All-Star Saturday Night” in collaboration with televised live event producers and lighting designer Baz Halpin and Production Designer Tamlyn Wright of Silent House. 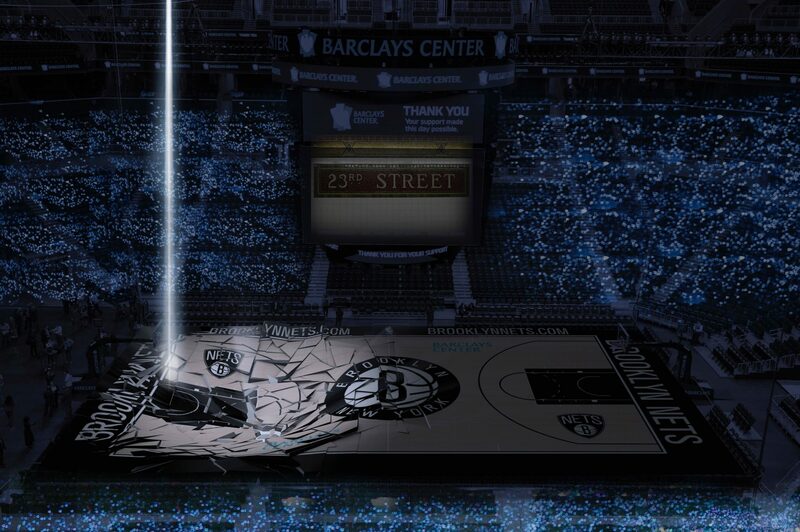 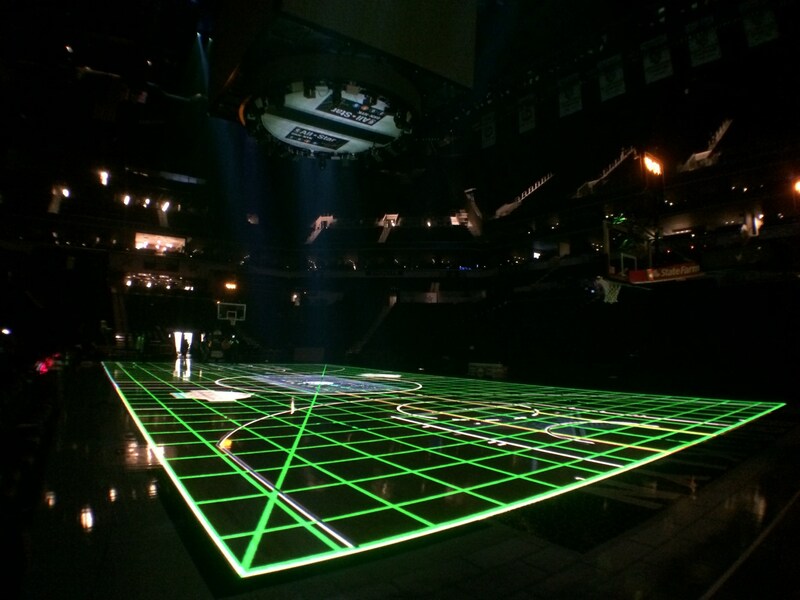 Our primary objective would be to enhance the experience in a way that would reach both fans at the Barclays Center and viewers at home. 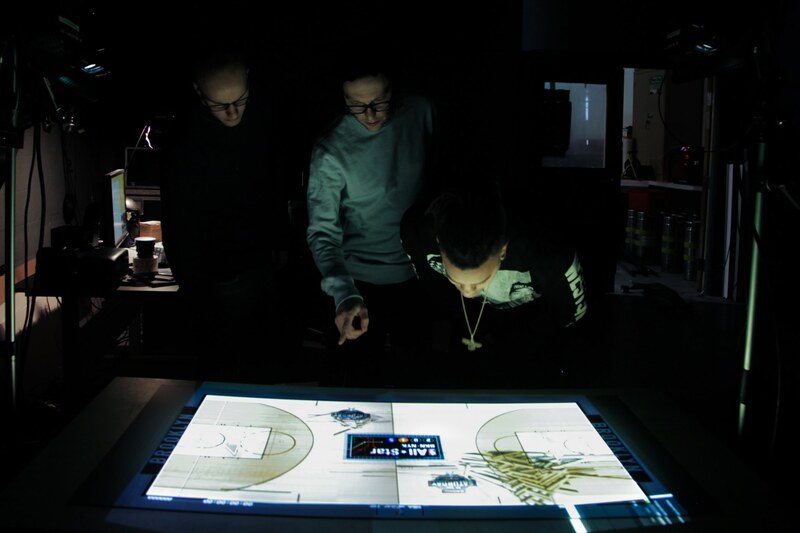 The main challenge for us was to design content and interactive elements that would keep the excitement high without overshadowing the players. 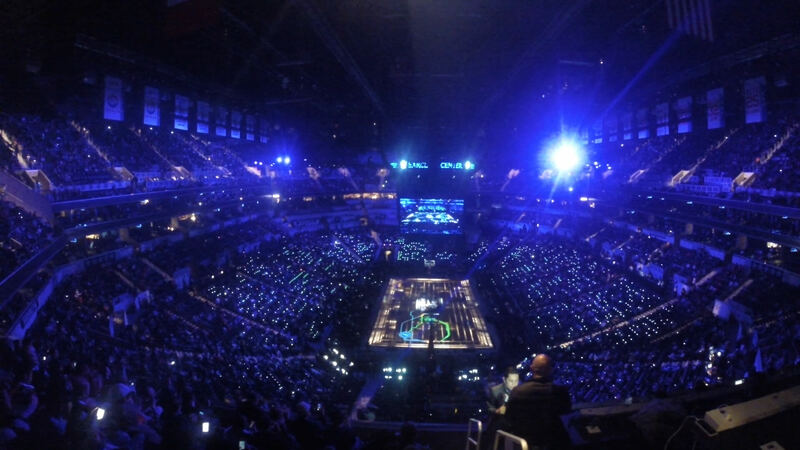 We needed to find a way to support and showcase the main event and still be spectacular enough to amaze the crowd. 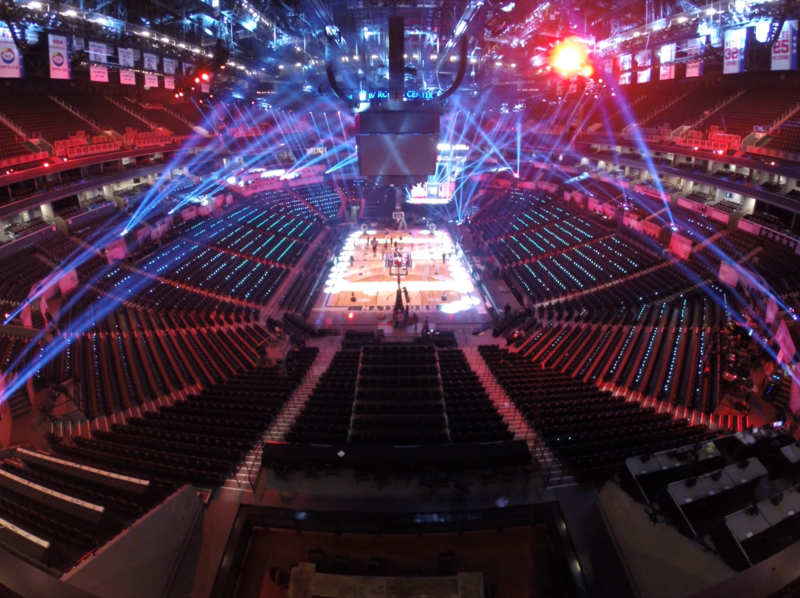 In order to spread our engagement out, we created a wide range of effects and installations that would surprise fans over and over again, taking each step of the event to a new level of participation, excitement, and celebration. 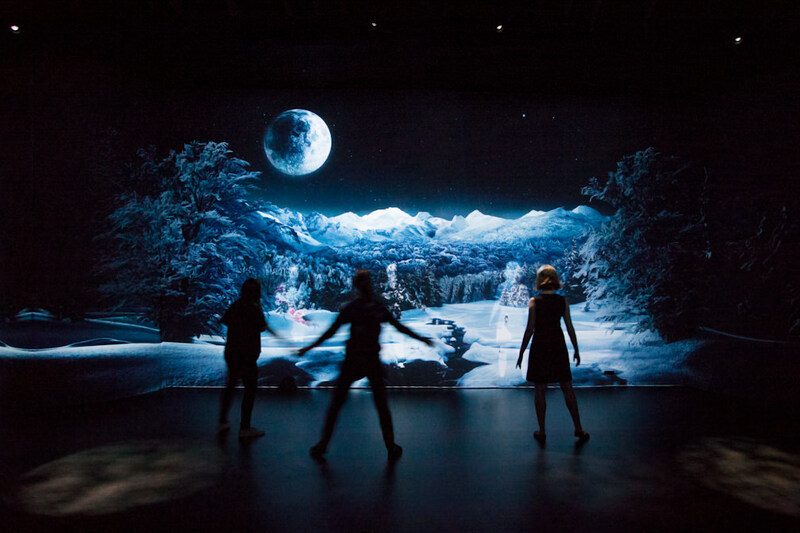 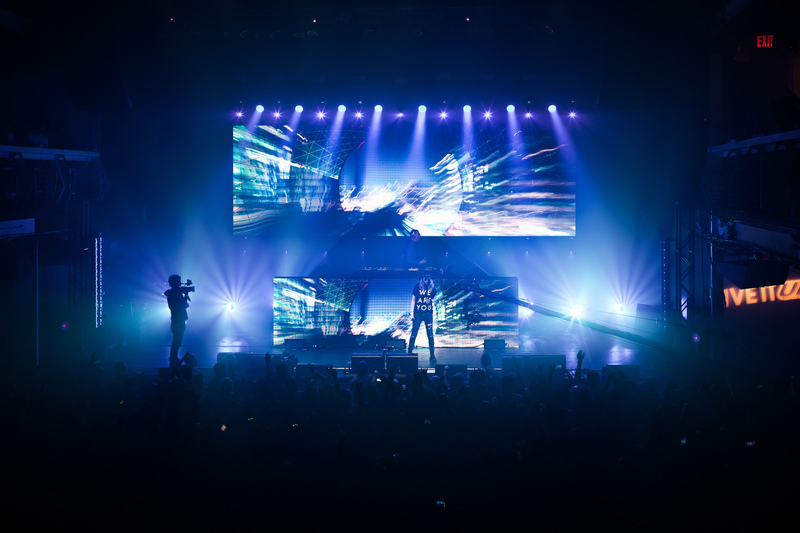 Video animation, sound, and animated LED lights in the crowd created multiple points of engagement that could be combined for dramatic effect. 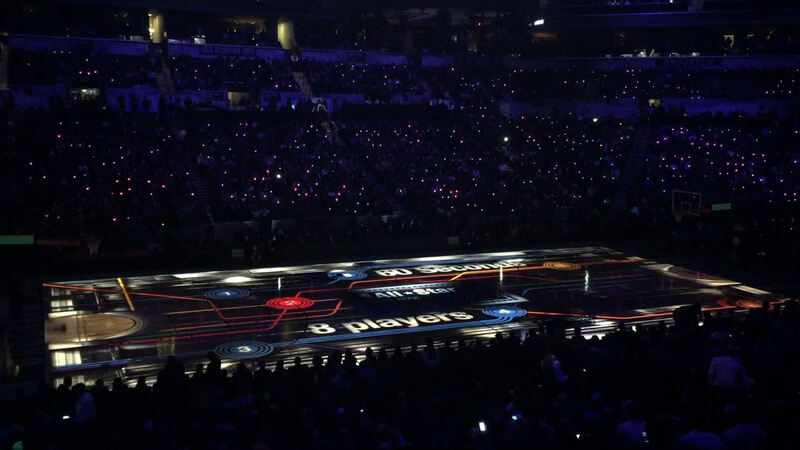 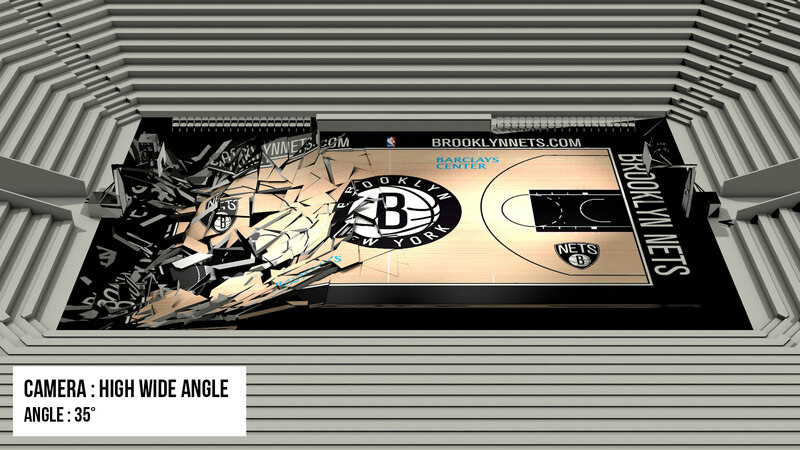 Always keeping in mind the primary importance of the all-star players, we used our installation to highlight their entrances: projected graphics communicate key stats before the challenges, using visual inspiration from the New York subway. 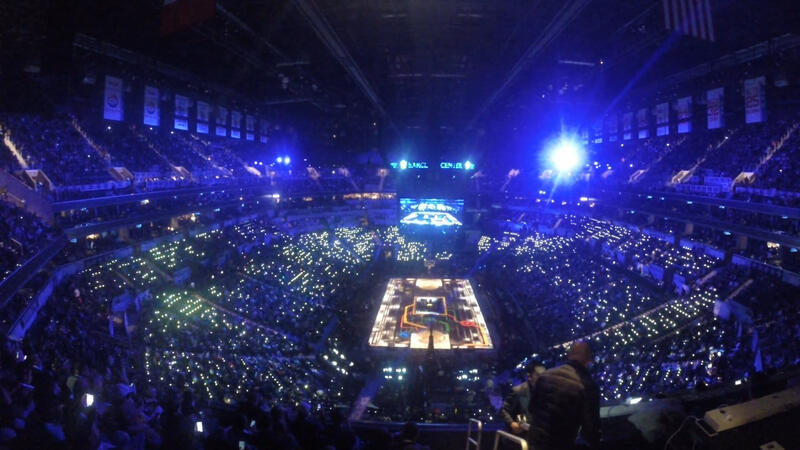 As the evening progressed through four events, the audience was entertained by ripple light effects in the crowd, produced in partnership with Montreal-based wireless LED experts PixMob. 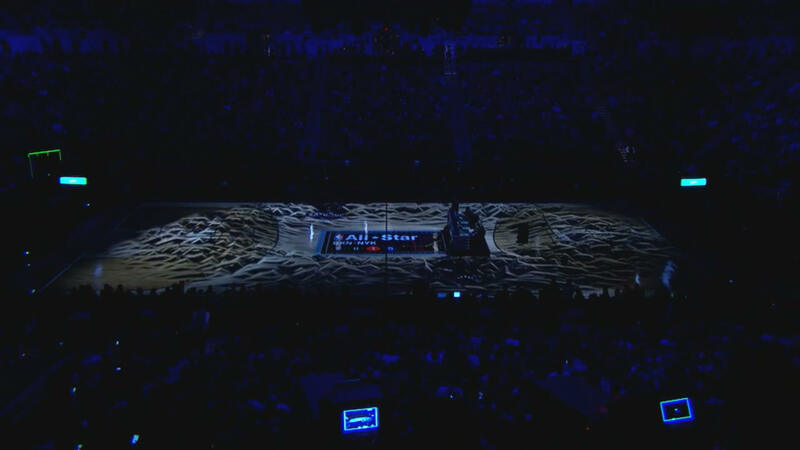 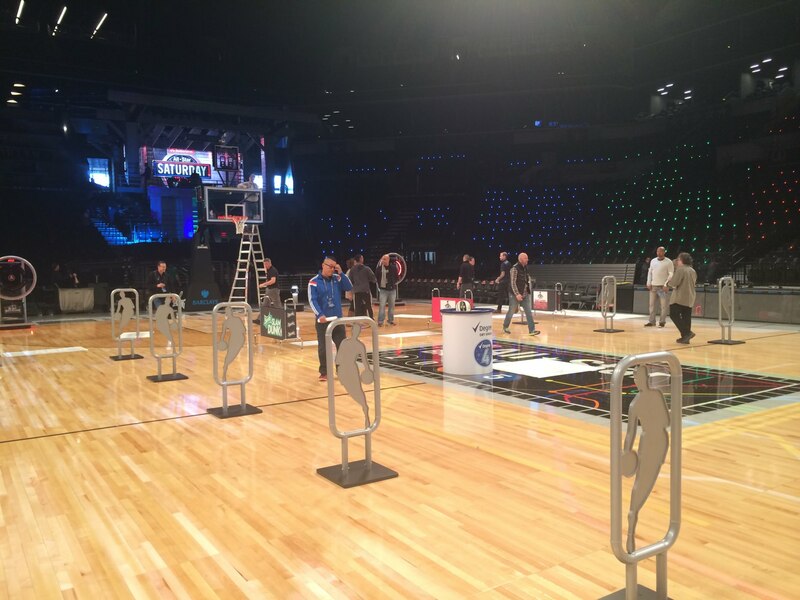 The highlight of the night was undoubtedly the slam-dunk contest. 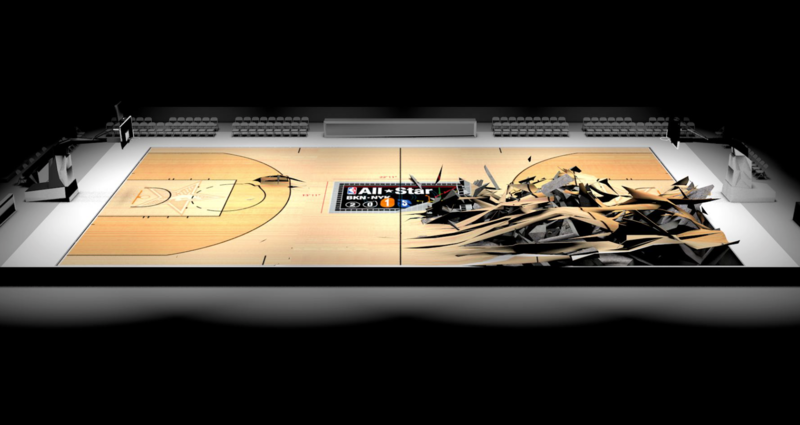 As players entered the court for the competition, realistic 3D animations of the court bursting open as wood splintered and cracked, timed with pumping music, ramped up the hype until their moment of glory. 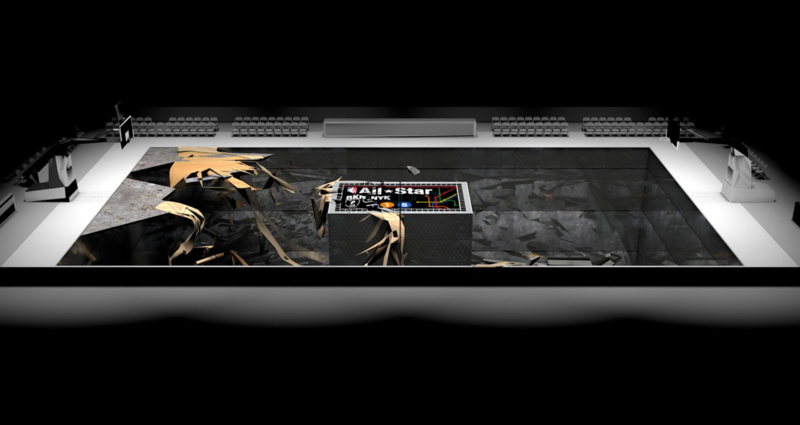 Our multimedia not only kept the excitement high between moments, but amplified key events to enhance the overall experience. 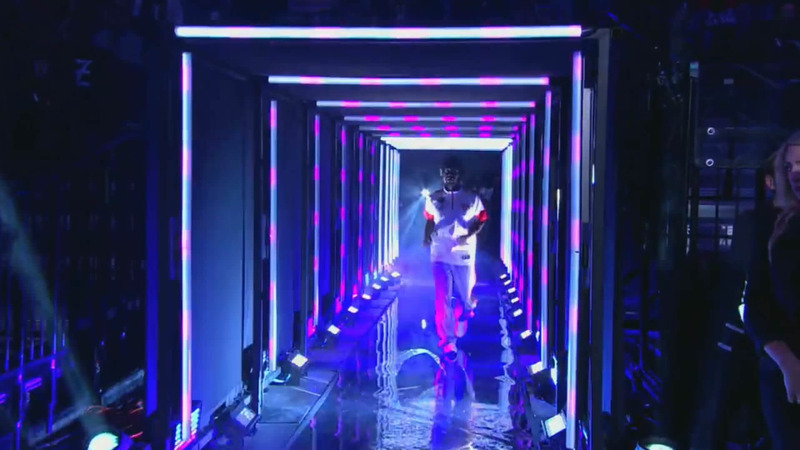 Our contributions supported and showcased the players, offering them dramatic entrances. 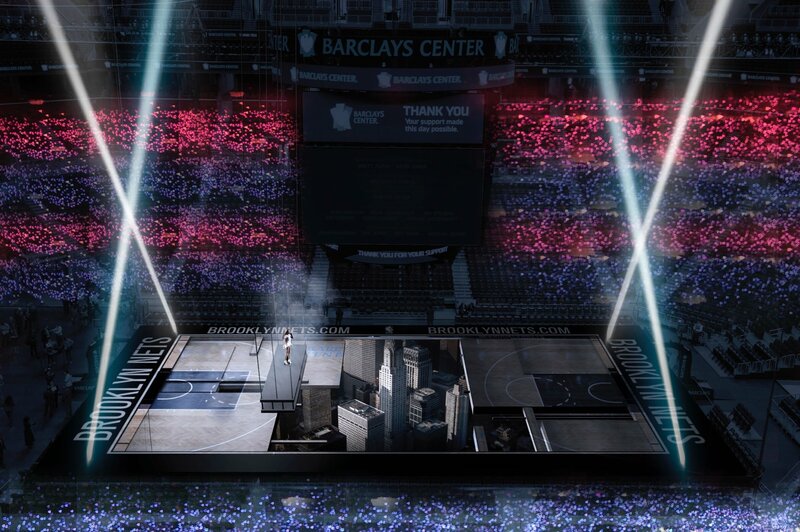 And finally, our immersive and variable multimedia intervention contoured the event for fans both in the arena and at home, bringing viewers together to share in a high-energy celebration of their favorite game.